Karina Gędłek is a student at the United World College in Armenia. In 2015 she was given the opportunity to continue her education in an international environment that welcomes students from over 70 countries. Living and communicating with people from all over the world has helped her to understand the huge variety of perspectives that can be found. It has also helped her to explore concepts in politics and to familiarize herself with different problems faced by people all over the world – especially issues concerning rights. Karina was born in Wrocław, and it was there that her interest in community engagement began. In 2013 she became a member of the Wrocław Youth Parliament. She had the opportunity to become actively engaged in organizing workshops for students about tolerance, equality and respect for other cultures, as well as to encourage pupils to take part in the debates following the workshops. Later, she began to represent Poland at events like the European Youth Event organized by the European Parliament in Strasbourg and international youth exchanges thanks to the Erasmus+ programme in Poland and Germany. Thanks to the ZIS Foundation for Travel Grants Karina had the chance to come to Vilnius to realize her independent project concerning the human rights of the Polish minority in Lithuania. She believes that this two week internship at the European Foundation of Human Rights (EFHR) will give her significant experience and the chance to develop her analytical skills. She hopes to explore the impact of the NGOs existing in Lithuania, and is very interested to learn how EFHR contributes to the preservation of the rights and freedoms of minority groups. 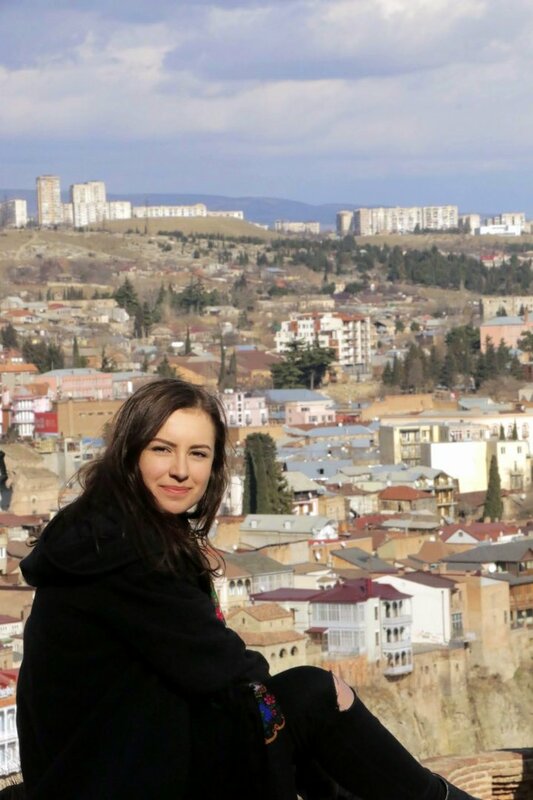 During the school year she spends her free time travelling in the Caucasus region and working voluntarily in an Armenian kindergarten as an English teacher. On the weekends she enjoys sailing, studying languages and playing the piano.